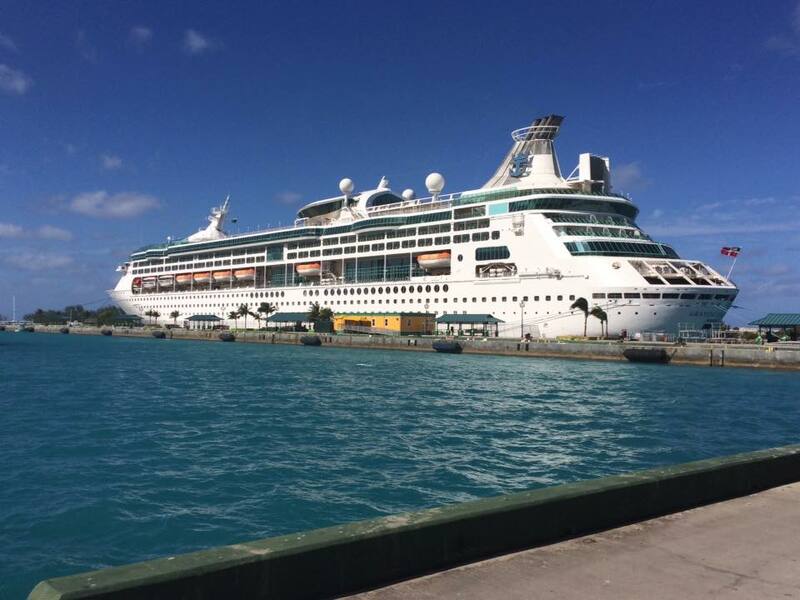 Royal Caribbean informed guests scheduled to sail on Grandeur of the Seas, that the next sailing will be delayed due to an immediate repair need. 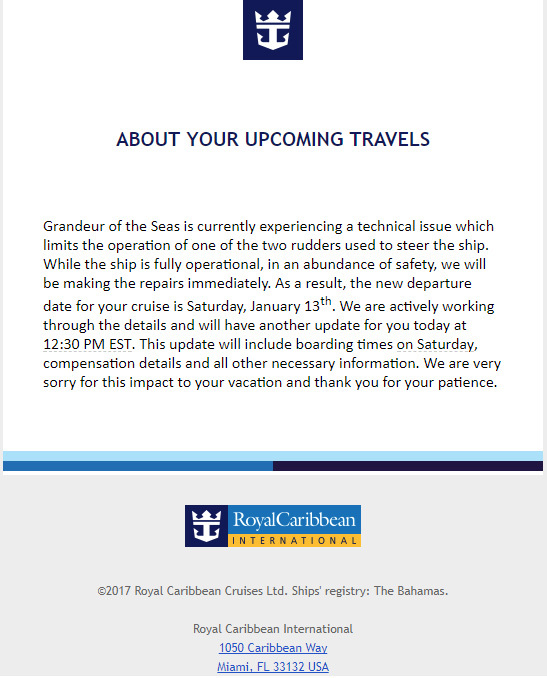 In an email to guests, Royal Caribbean indicated that Grandeur of the Seas is currently experiencing a technical issue which limits the operation of one of the two rudders used to steer the ship. The cruise line went on to explain, "While the ship is fully operational, in an abundance of safety, we will be making the repairs immediately." Moreover, Royal Caribbean apologized for the schedule change, "We are very sorry for this impact to your vacation and thank you for your patience." As a result of the repairs, the January 11, 2018 sailing has a new departure date of Saturday, January 13th. Royal Caribbean is actively working through the details and will have another update today at 12:30 PM EST. This update will include boarding times on Saturday, compensation details and all other necessary information. 1:00PM EASTERN UPDATE: Royal Caribbean has provided an update on the shortened Grandeur of the Seas sailing. Royal Caribbean will offer guests sailing on the shortened Grandeur of the Seas sailing a 50% refundable Onboard Credit to their account. This amount will be based on the cruise fare portion paid, non-inclusive of taxes and fees. If their onboard spend does not reach this amount, the remaining balance will go to the credit card on file. If guests are unable to travel and need to cancel their cruise, Royal Caribbean will provide them with a refund to their original form of payment. For Air2Sea guests or guests that purchased air directly with Royal Caribbean, Royal Caribbean will be reaching out to work through new travel arrangements. If guests purchased air on your own, Royal Caribbean will be reimbursing change fees of up to $200 per person for Domestic flights and up to $300 per person for International flights (change in airline reservations must be like-for-like cabin class and a faxed/email copy of air fees assessed must be provided for reimbursement). Please submit receipts to RoyalGuestRelations@rccl.com. If guests have a pre-purchased beverage package or an internet package, Royal Caribbean will provide them with a refund of the prorated 2 days.